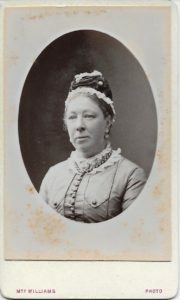 Sarah Evans was born on 23 Sep 1828 at Pendeford Hall, the only daughter of Richard Evans and Mary Shaw-Hellier. 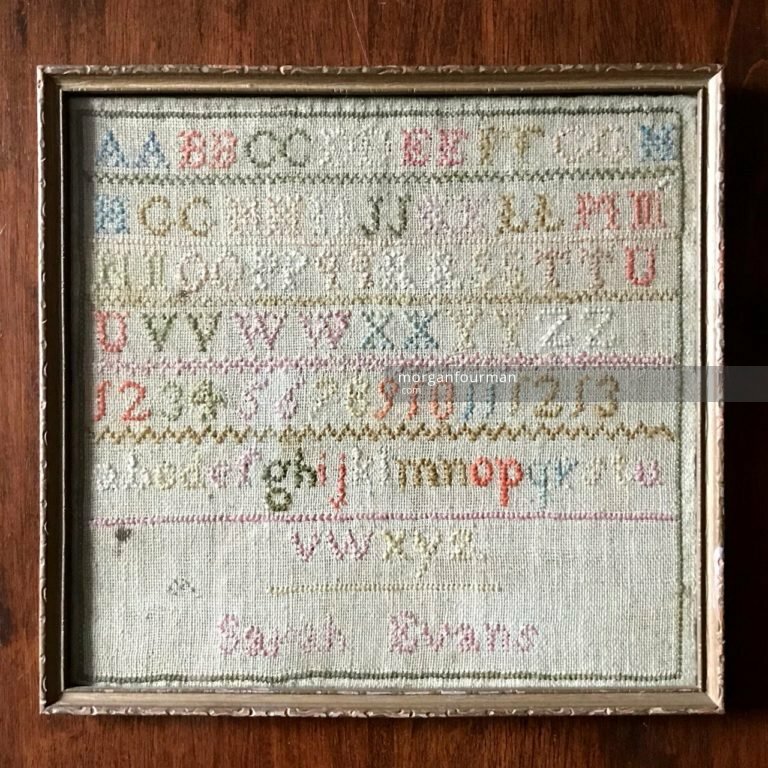 One book from her childhood, inscribed ‘Sarah Evans 1838’ is still in our possession. Also surviving is a samplar that she must have embroidered at about the same time. She married her father’s cousin Charles Richard Ogden Evans at Tettenhall on 28 Feb 1856. He was a captain in the Royal Artillery, who was to progress through to the rank of Major General at his retirement. The couple had no children but adopted Mary Isabel Edith Ogden, after her mother died in India in 1874. During her husband’s absence Sarah seems to have lived with her unmarried brother Henry Evans, at least until he eventually married in 1889. She seems to have travelled at some point on her husband’s passport, which we still have. The couple must also have spent time in Ireland. At some point her husband retired and he died in Eastbourne in April 1890. 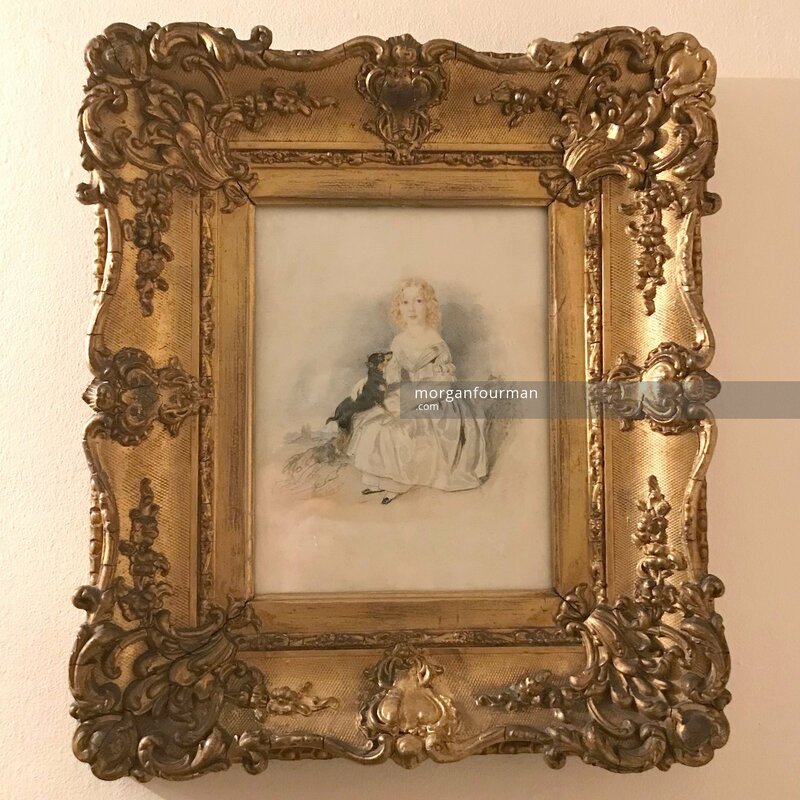 Edith Ogden talks about the house in Eastbourne where some pictures were kept. Sarah Evans herself died on 28 Sep 1890 shortly after her husband in Monkstown, Co Cork. Monkstown was where Edith Ogden’s Aunt and Uncle lived, where the Very Rev Charles Saul Bruce was Dean. Many of her effects went to her brother Henry and to Edith Ogden, who was at the time apparently living in Ireland. These include her mother of pearl inlaid sewing box.